This past week I’ve been working on creating an easier way to for you guys to find images on my site, I’m hoping to unveil it in another week or so. Anyway, the point is, as I make my way through various categories, I’ve realized that certain categories have been pretty neglected, and in some case the selection is downright pitiful!! I promise to work on that. The Sports category is probably one of the absolute worst (not exactly my cup of tea! 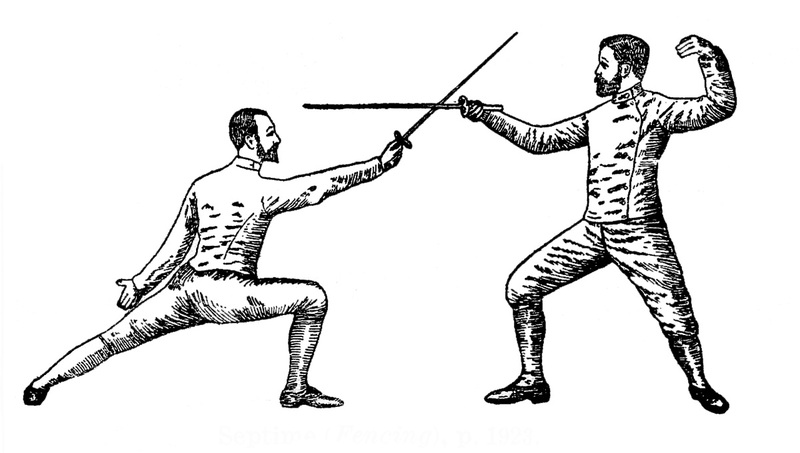 ), so I’m offering you 3 old dictionary images that are sports related, including a Fencing graphic, some rackets (tennis or badminton? You see I really am clueless in this area!) and lastly some Golf clubs. Cute Vintage Elf Image! Beautiful Natural History Butterflies Printable! Old Advertising Label Image and Frame! Me no like-y sports anyway. So you are okay with me! teehee! Although I´m not exactly a sports person *cough*, I love these images. (Doesn´t mean I have to get out in the cold and do some sports, eh?!) 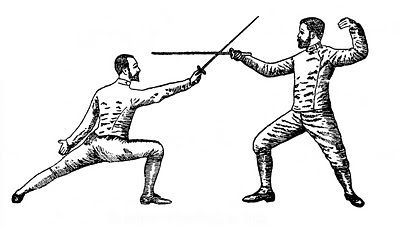 The fencing image is great. You’re right on both counts about the rackets; #1 is a tennis racket, and #2 (the one with the longer handle) is a badmitton racket.